Watch trends move at a glacial pace when compared with fashion cycles (try buying a $9,000 watch every few months) and one might think that this era of ultra-thin watchmaking is only logical following the heels of the “big watch” craze but really was Manufacture de Haute Horlogerie Piaget has been making thin luxury timepieces for over 50 years. Early 1957 and years of fruitful research and development before that would see watchmakers in La Côte-aux-Fées present a mechanical movement measuring just 2 mm thick. Dubbed 9P, because it was a 9-ligne movement; It was slender, light and refined. It was the gent’s watch, it’s the kind of designer watch that Monsieur’s wear under their tuxedo sleeves. Launched at the Basel Watch Fair, luxury watches equipped with the 9P calibre caused such a stir that the Piaget brothers soon realised what a treasure they had in the 9P. It was upon this movement and its successive versions, including the 12P automatic movement presented at the Basel Fair in 1960 as the world’s thinnest automatic movement, that the Maison Piaget built its reputation. Above and beyond the technical feats involved, the development of ultra-thin movements was to lead to a complete aesthetic upheaval, alongside the extravagant watches that were much in vogue (much like today), the Manufacture de Haute Horlogerie Piaget also pursued its line of extremely pure ultra-thin models: an inimitably slender case, an understated dial, and subtly stylised hands. On these exceptional creations, luxury is hinted at, while pared down to essentials: a supremely technical movement, precious metal, and a clear-cut design. For half a century, Piaget’s consummate art of using these three components has enabled it to write some of the finest pages in the field of ultra-thin watchmaking. Image NOT for dramatic effect. They actually are the thinnest watches in the world. 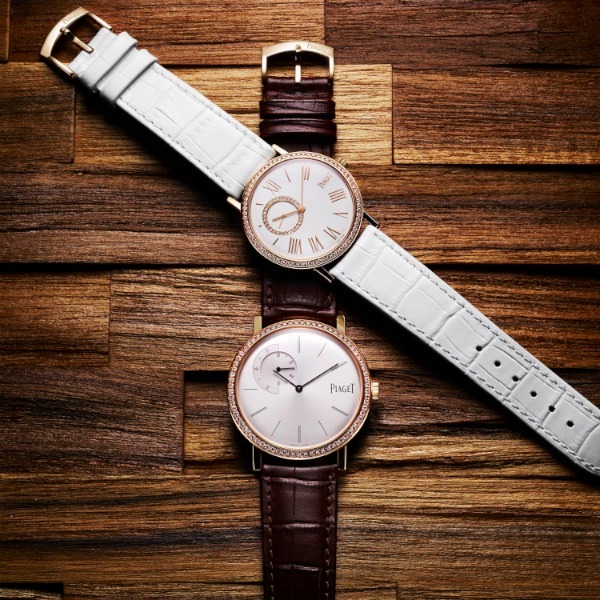 First presented in 1998 a highly evocative collection of Piaget ultra-thin models would receive the name Altiplano; In addition to the extremely pure lines of the ultra-thin round or square cases, Piaget Altiplano watches are distinguished by pure dials, slender elongated hands and fine baton-shaped hour-markers or Roman numerals. Thanks to a broad range of models, the Altiplano collection encompasses both masculine and feminine models, housing almost exclusively mechanical movements within cases crafted from precious metal and in some cases gem-set. 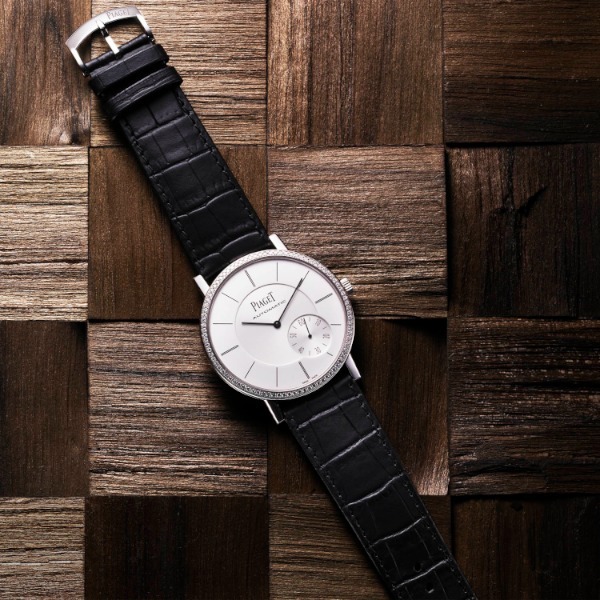 In keeping with the Piaget tradition of ultra-thin watches, which are either classically inspired or introduced as concept watches – such as the Piaget Altiplano Double-Jeu and Piaget Altiplano fingerprint models – Altiplano watches also represent an opportunity to explore a number of skills such as the art of enamelling, skeleton-working, and gem-setting on skeletonised movements. 2011 is the year Manufacture de Haute Horlogerie Piaget is further enriching its Altiplano collection consolidating the brand’s leadership position in the field of ultra-thin watches. The only question is, are diamonds a man’s best friend much as it is a woman?